Building a reputation can take years, but you can lose it in a PR minute. Britt McHenry is a recent example of the internet shame machine. The (previously) obscure ESPN journalist was videotaped hurling harsh insults at an employee of a company that towed her car. Her one-week suspension touched off a debate involving entitlement, classism, privacy, and the power of the web to make or break a reputation. The humiliation may have been deserved, but its speed and cruelty was notable. 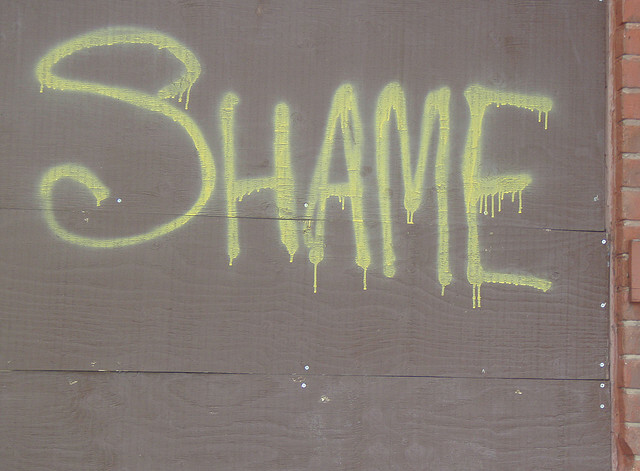 Yet the shame game isn’t only for quasi-celebrities. Just ask Justine Sacco, the PR executive who lost her job after a controversial tweet in 2013. Sacco tweeted just before boarding a long plan flight without the internet access; her inability to respond to criticism of her tweet exacerbated her punishment by a social media mob. What Are The Takeaways for PR Professionals? Here’s some commonsense PR lessons for anyone caught in the brutal teeth of the internet shame machine. Apologize. And mean it. Britt McHenry’s initial apology was focused on herself, which is never good. A better strategy would have been to apologize directly – and more sincerely – to the towing company employee. For outstanding examples of celebrity mea culpas after a public shamestorm, see Jason Alexander or Jonah Hill. Don’t lie or deny. If the bad behavior is real, admit it. In these digital times, it’s nearly impossible to hide anything, even the most private of private behavior. There are many instances where the attempts to cover up are more damaging than the actual sin. Digital behavior in particular leaves fingerprints. A claim that your Twitter account was hacked or that a certain email was never sent isn’t likely to hold up, and it brands you as a liar to boot. Take a break. Some victims of the shame machine try too hard to take on their antagonists directly through social media. It’s hard to be objective, and often it’s adding fuel to the fire. Remember, retreat doesn’t mean defeat. Let allies defend you. If you must go on the offensive, let surrogates carry the water. Third parties can be tapped to post comments, tweet, or be interviewed on your behalf in a truly viral reputation crisis. The advantage here is intense media interest, which can often be parlayed into exclusive access to new information or insight. Mend fences. If you have no allies, it may be time to launch a charm offensive to cultivate or woo back those you have alienated. Depending on the nature of the infraction, it may take months or years to win back a reputation. Use your shame for good. In the case of a truly sensational shaming, redemption can be a long time coming. Look at Monica Lewinsky, who refers to herself as “patient zero” of internet ignominy. Now, 18 years after she was originally “outed” for private behavior with a very public man, Lewinsky has made lemons into reputation lemonade. She did it by embracing and owning her own victimhood in becoming an anti-bullying activist. Today the buzz around Lewinsky is about her being a champion of those targeted for the very digital humiliation that she endured. Lewinsky’s TED talk has been viewed millions of times and she’s received apologies from many of the comics and columnists for whom she was a punch line and a punching bag. This post was originally published in a slightly different version on MENGBlend.